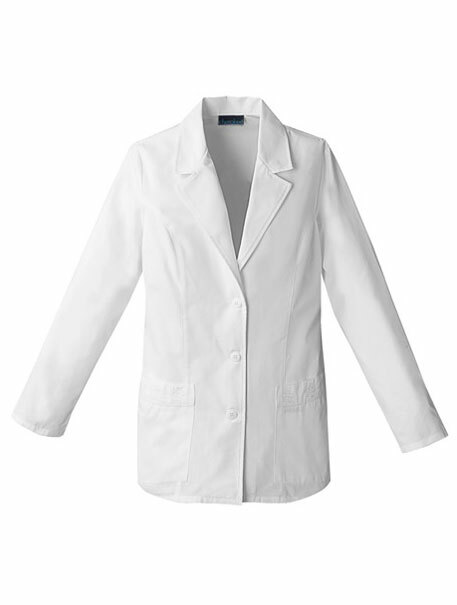 A notched lapel lab coat features front and back princess seams for flattering fit and front patch pockets. 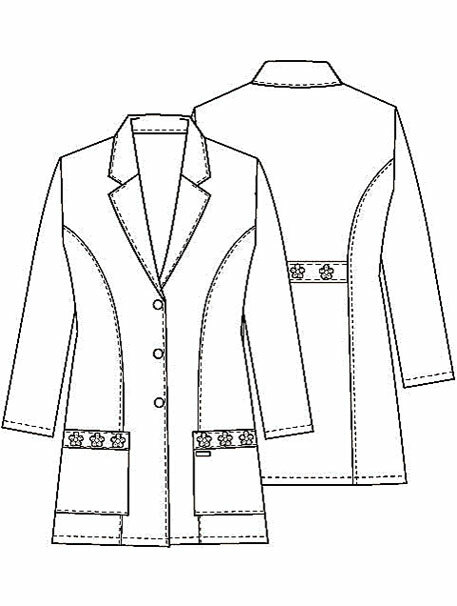 Pretty daisy embroidery on the pocket band and back belt complete this feminine look. Center back length 29"